This stunning day bed is sure to stop you in your tracks. Handcrafted in Sydney, this amazing piece of furniture will create the perfect cosy corner in any child’s room. If you learn any lesson from buying children’s furniture, it’s that versatility is key. Children grow out of things so quickly, so if you’re investing in a statement piece of children’s furniture, make sure it will last the test of time. 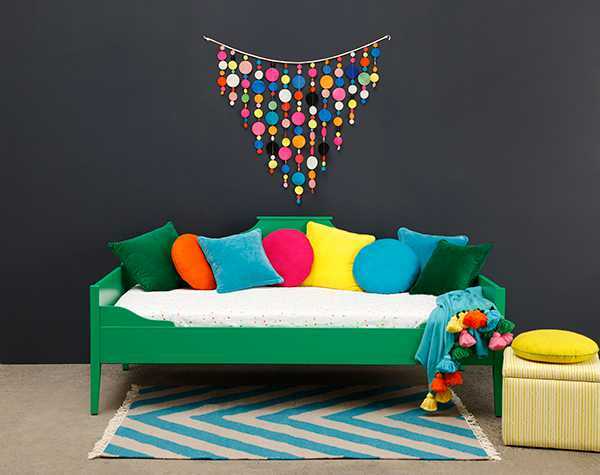 And this brilliant day bed will certainly do that. From the workshop of Lilly & Lolly comes the Daffodil Day Bed. It has beautiful carved shape and fine legs, which give a crafted look. And here’s where the versatility comes in – by night it’s a lovely bed and by day it can be used as a lounge. It comes in green, yellow, pink, orange, aqua, red or white, and single or king single in size. The single size costs $1395 and the king single $1495, available directly from Lilly & Lolly.